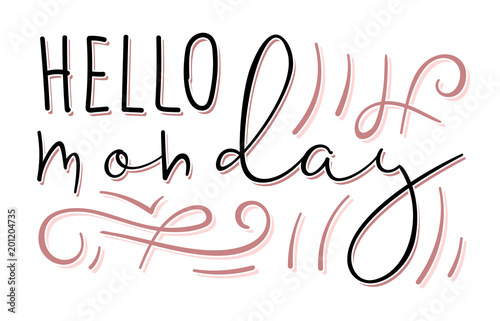 Hello monday handdrawn lettering. Signature style font and swashes. Vector illustration.